In February of 2013, the Tennessee Department of Health issued its first public health advisory on electronic nicotine delivery systems. After reviewing a growing body of unbiased, scientific research, TDH is issuing an updated advisory that provides more information and urges current and potential users to understand new evidence of risks associated with e-cigarettes and similar devices. Vapers at the Virginia Commonwealth University were 3.4 times as likely to be smoking cigarettes a year later as young adults who were vape-free, according to the first-ever longitudinal study examining the progression of college students from vaping to smoking. 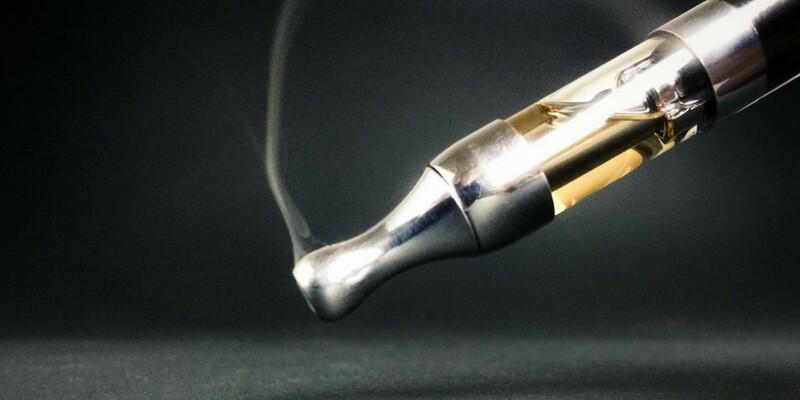 Researchers followed 3,757 freshmen for one year to discover if e-cigarette use at the baseline was associated with a progression from not smoking to trying a cigarette or currently using cigarettes at the follow-up. The objective of our study was to examine the readability of publicly available health information as well as advice on e-cigarettes. We compared information and advice available from US government agencies, nongovernment organizations, English speaking government agencies outside the United States, and for-profit entities. An increasing number of people believe e-cigarettes are just as harmful as tobacco cigarettes, according to an alarming study from the Johns Hopkins Bloomberg School of Public Health. In 2012, half of the United States correctly believed that e-cigarettes are less harmful than regular cigarettes. But by 2014, after an explosion of negative and often inaccurate press coverage about the dangers of vaping relative to smoking, that number fell to 43 percent. Another study has been released extolling the fact that vaping is a gateway to smoking, and again scientists are coming forward to debunk the claim. Reason has published an article on a recent study done at the Virginia Commonwealth University appeared to show that students who vaped at the college were 3.4 times more likely to be smoking traditional cigarettes a year later. This statistic alone has been used by anti-vaping scientists to show that vaping does lead to increased smoking usage among young adults and teens. In fact, one of the most passionate anti-vaping advocates, Dr. Stanton Glantz, said that this study was just more confirmation that vaping is a gateway drug. A need remains for alternative devices for aerosol drug delivery that are low cost, convenient and easy to use for the patient, but also capable of producing small-sized aerosol particles. This study investigated the potential of recent high power electronic nicotine delivery systems (ENDS) as aerosol generation devices for inhaled bronchodilators. There have been many interesting findings, this year. We know more and more about the users, the motivations, the efficacy of the products, more surveys, more cross-sectional data and more cohorts studies. This allows us to follow the users in time and see understand they use the products and why they change their patterns of use. We also know more about the use by youth. In 1847, Philip Morris, “tobacconist and importer of fine seegars”, opened a small shop on London’s Bond Street. On nearby Wardour Street, nearly 170 years later, the store that bears his name is selling something quite different. A “tech guru” guides customers around the gadgets on display, while a colleague offers others a tutorial of the company’s latest product. “This is not a cigarette,” he says, producing a stick, about half the size of a regular cigarette and poking it into a pen-shaped contraption. “It’s not a vaping device either,” he adds, before taking a puff. The Tennessee Department of Health would have us believe that experimentation with electronic cigarettes is turning our kids into a generation of nicotine-addicted junkie rapists whose lungs are rapidly obliterating and who are facing imminent death. Of course, the TDOH is telling a tall tale. The truth – and the rest of the story – is that there is no evidence that e-cigarettes are associated with any of these outcomes. Thanks for your commitment to bringing us Vaping news every day. I usually read your posts on POTV then come over here to read the details.